Saturday, May 11, 2019 10 a.m. to 5 p.m. Basic computer skills. Must bring your own computer to class with Photoshop installed. You can download a 30-day free trial of Photoshop at www.adobe.com. Alison Caron is an adjunct instructor in graphic design at Cape Cod Community College, as well as a trainer for Geek Girl tech conferences. She owns Alison Caron Design, an advertising, branding, and publishing design firm, located on Main Street in Hyannis. She is the former creative director of Cape Cod Magazine, South Shore Living, Chatham Magazine, and Cape Cod Guide. Alison has been using Adobe software for over 15 years. Because you can't ask a book questions. Full Name * Phone Email * Date * Saturday, May 11, 2019 Payment * A $100 nonrefundable deposit required upon registration; remainder due at the start of class. 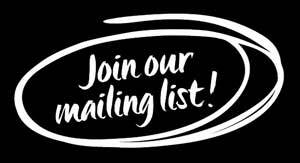 Join our mailing list to stay up to date on everything Boot Camp. And let us know if there's a class you'd like that's not yet on our list. "Thank you for showing me the light! I learned so much at your Photoshop Boot Camp, and I'm already using it. I loved learning in that bright space and how comfortable you made us feel, including taking us for an excellent lunch at Pizza Barbone!" "Photoshop Boot Camp with Alison was enormously helpful. The hands-on class provided lots of tools and tricks that will have immediate practical applications in my job. I highly recommend her Boot Camp for current or aspiring creative & design professionals!" "Alison is a fabulous teacher! I took her Photoshop Bootcamp one-day workshop and learned a TON of cool magic tricks to use for my business. Alison moved through a huge amount of material quickly yet patiently. She gave us all the basics for using the program proficiently yet still stopped to answer questions and help us get unstuck whenever needed. After just one day, I walked away with a bunch of new tools AND ideas for making my marketing materials really pop. Plus, we got lunch and a USB stick with extras! I highly recommend this class if you are looking to upgrade your marketing efforts. It's totally worth it!" "I signed up for Alison's Photoshop Boot Camp as a "refresher" and hoping to learn more about Photoshop. Alison is a wealth of knowledge and conveys it in a simple, easy to follow format. I'd recommend her Boot Camp for beginners and anyone that wants to learn tricks to help navigate through Photoshop." "Alison Caron, thanks for producing the Photoshop Bootcamp. Loads of information, nicely organized and well presented. I enjoyed the day and I'm putting my new skills to work immediately." "Alison Caron of Alison Caron Design offered an outstanding Photoshop Bootcamp last Saturday. It was wonderful to see her in action at her new downtown Hyannis office. I found the training extremely helpful. Alison is an amazing teacher—patient, detailed and personable! I would strongly recommend Alison for all your graphic design needs." 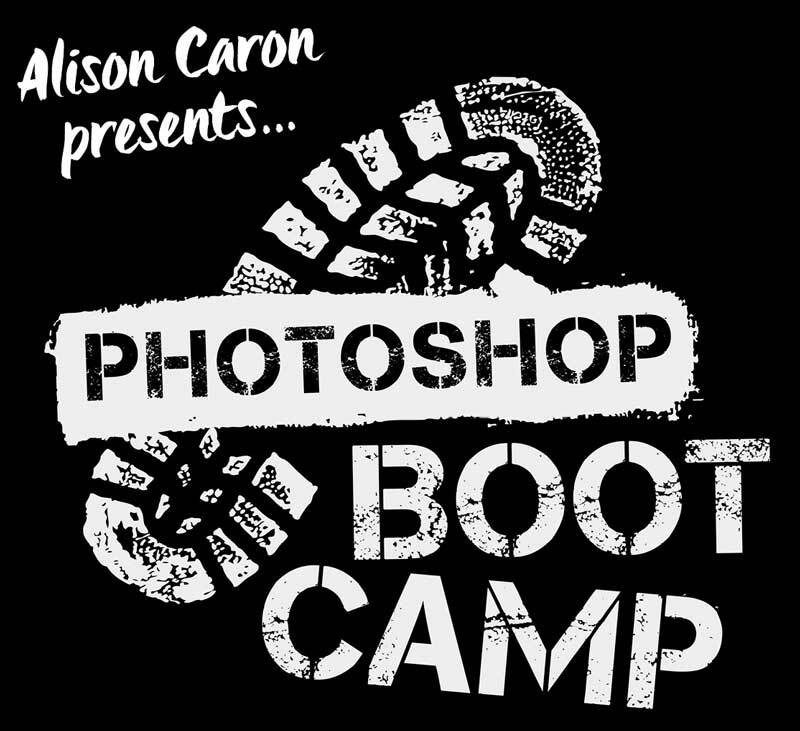 "Alison's Photoshop Boot Camp covers a wide array of skills applicable to both professional designers and amateur photographers. She is very knowledgeable about the program, including its latest additions and capabilities, and is able to convey that knowledge to her students in a friendly, helpful manner. The skills covered in the course enable Photoshop users to work as efficiently and seamlessly as possible to produce high quality results. Even experienced Photoshop users can benefit from her tips!" "Alison, your class and skills make for one of the best courses I have taken. I highly recommend you to anyone interested in Photoshop!" © Alison Caron Design. All rights reserved.